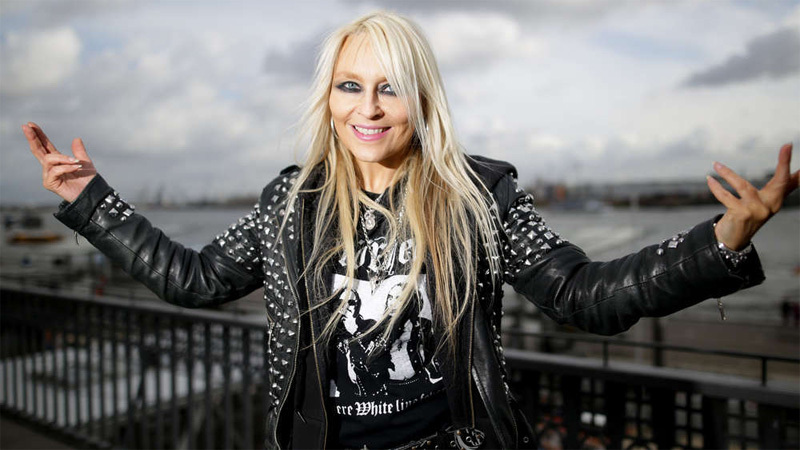 With a musical career spanning more than three decades, beginning with her first band Warlock, Doro Pesch is a melodic metal icon. Or often affectionately known to her fans, whom she regards as family, as the reigning German metal queen. Having not had a studio album since 2012's Raise Your Fist, the "metal goddess" returns with a double whammy, two studio albums, Forever United and Forever Warriors. Sold seperately, with bonus content, the two albums contain 25 new studio recordings. Even so, this may not be entirely true. In the Nuclear Blast press material, they call this two albums in one. But I did not find it this way on Amazon.com. For this review, I received digital promos for both albums, but without the bonus content. Neither Doro or her music needs no introduction. Typically, Doro plays melodic hard rock with a distinct metal edge, yet wrapped in AOR accessibility. The breadth and depth of her songs, range from straight up heavy metal rockers to arena metal anthems to slightly laid back metal ballads. Additionally, as she has done so often in the past, she has numerous guest musicians to help her along. While the album titles may be different, these aforementioned elements cross both recordings. I'm not going waste your time detailing all the songs across two albums, but here are some highlights. For some heavy metal rockers, find Resistance, Love Is A Sin, and Fight Through Fire on Forever United; Blood, Sweat & Rock m Roll, Turn It Up, and Backstage To Heaven within Forever Warriors. Arena metal anthems arrive with Living Life To The Fullest and Lift Me Up from United and the killers All For Metal and Don't Break My Heart Again from Warriors. For ballads, there are several From United there's It Cuts So Deep and the slow churning Lost In The Ozone; fromWarriors, listen for the heavier Love's Gone To Hell, with it's modern metal feeling. Guest artists include guitarists Doug Aldritch and Tommy Bolan, and Amon Amarth vocalist Johan Hegg growling on If I Can't Have You, No One Will, a heavy metal stalker song. Needless to say, with the tandem release of Forever United and Forever Warriors, quintessential metal heroine Doro has delivered a powerful two fisted punch of of melodic heavy metal. Easily recommended. 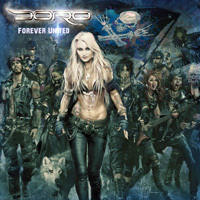 With the tandem release of Forever United and Forever Warriors, quintessential metal heroine Doro has delivered a powerful two fisted punch of of melodic heavy metal. Easily recommended.